Welcome to the Hello Baby Giveaway Hop hosted by Karen’s Got Mail! I have teamed up with a fantastic group of bloggers to share some awesome giveaways with our readers. Be sure to hop around to the participating blogs listed below and enter some fabulous giveaways, all of which are worth a minimum of $25! With Mother's Day having just passed, I cannot help but think back on those early days of the boy who made me a mama... my oldest son! As a first time mom, I remember waiting ever so impatiently for those milestone moments to come. We'd wait for those first holidays, the first words, the first foods. Perhaps one of the most anticipated firsts are those very first steps...and I remember my son's vividly! He was around 11 months old. We were staying with my mom at the time while my husband was deployed. During that particular deployment, we didn't have much communication at all- we'd be able to talk maybe once a month if that. Naturally, we cherished those moments we did have like no other- giving my son every chance possible to see daddy. At this point, he'd been standing unassisted for some time but had never made that extra effort to make the first step. You can imagine the excitement when during a video chat with Daddy, he made that step. Having left when our son was just 9 months old- and having had a ton of training even before that so he missed a lot of those firsts. He missed the first words, he missed the first birthday... so those first steps, seeing them from across the globe- we could not have asked for a better moment. It's a moment I cherish...and a moment I wish I could go back to! While that seems like just yesterday, my son is now approaching 9 years old, and running at full force! He's no longer taking those tentative baby steps, he's running, jumping, skipping...constantly on the move! 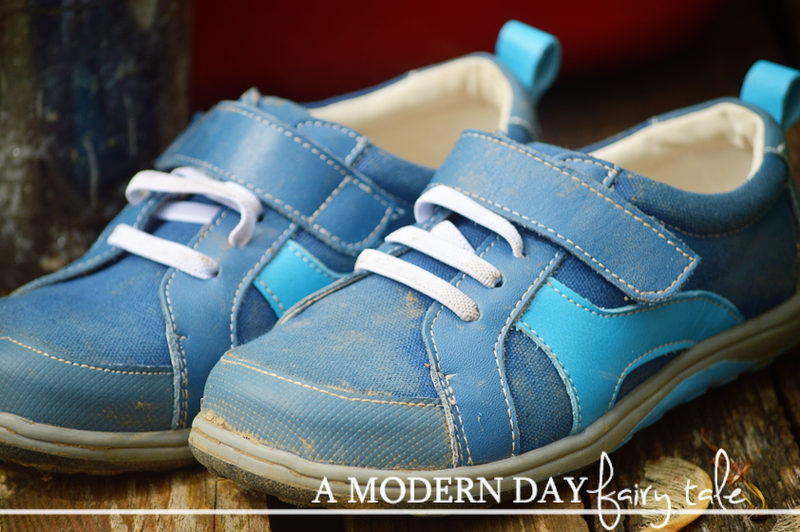 From those first steps to the school days on the playground, our little ones need the right pair of shoes to get them through those special moments! And for that See Kai Run is ideal! 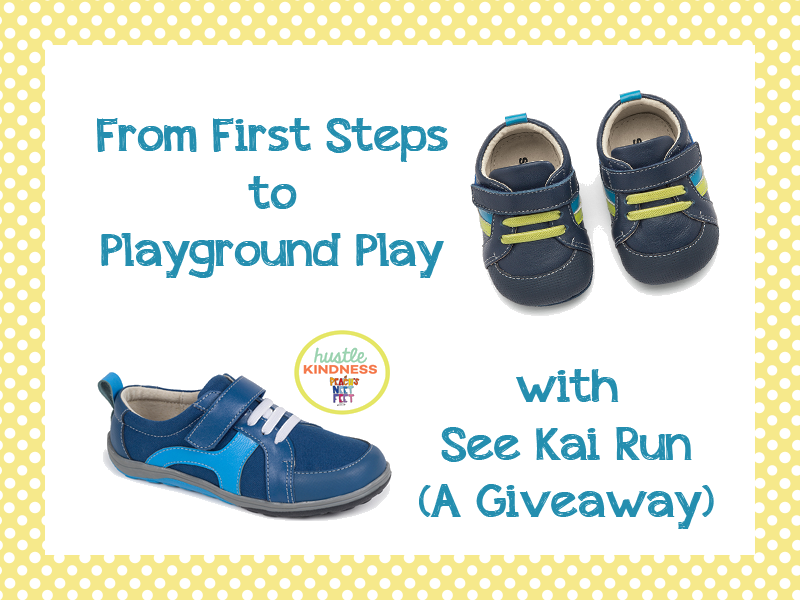 See Kai Run was created in 2004 when a Seattle mom saw the need for a great pair of kids shoes that are both adorable AND good for little one's healthy foot development. When nothing else was to be found, she created See Kai Run. Today, a dedicated team of footwear makers and designers carry on this mission. Their experience and footwear knowledge ensures that every style they produce is fun, fashionable and features the finest in materials and craftsmanship. My son was so excited about these shoes that as soon as they came in, he decided he had to put them on and go straight outside...right into the mud! Before I even had a chance to take a picture for this review, they were put to the durability test that I'm certain every boy will put them through too. When I say he played in the mud- I don't mean it was a little bit muddy- I mean it was the kinda muddy day where the mud just cakes onto the shoes and has been known to destroy many a kids shoe! But See Kai Run withheld the test, passing with flying colors!! I was impressed! I know that if they can withstand my crazy child, they are sure to last a long time! In July 2011 Peach’s Neet Feet (PNF) began providing customized, hand-painted shoes to children living with disabilities and fighting serious illness. The PNF shoes help create awareness, allowing the children to be recognized for who they are beyond their diagnosis or disability. The shoes became a gateway, connecting people from all over the world. These personalized, one of a kind gifts lift the spirits of these children and their families. Today, what began as a love of art and giving has grown into a movement of kindness. The only thing that PNF asks for in return is that the children and their families pay it forward and “Hustle Kindness” themselves. See Kai Run has been providing shoes to Peach’s Neet Feet since 2014. This February we hope to support PNF in a different way by donating 10% of proceeds from select Spring Summer ’16 styles to Peach’s Neet Feet and their movement to “Hustle Kindness”. On our website, seekairun.com, look for the Hustle Kindness logo;* this indicates a shoe in which 10% of proceeds will go to support Peach’s Neet Feet. The select shoes will be sponsored by one of our See Kai Run Superstars, each of whom face unique life challenges, but each of whom are on the quest to “Hustle Kindness” themselves. For more information, please visit www.peachsneetfeet.com. That's pretty amazing, right? I love that not only are my kids getting great quality shoes that I'm confident will last, but it is also helping to give back through this amazing program! Awesome! Disclosure: Karen’s Got Mail and the Hello Baby Giveaway Hop participating bloggers are not responsible for sponsors who do not fulfill their prize obligations. Facebook, Twitter, Pinterest and any other social media are not affiliated with this giveaway. Winner will be contacted via e-mail after giveaway ends, and will have 48 hours to respond before a new winner is chosen. One entry per household, winning entry will be verified. Odds of winning depend on valid entries received. A Modern Day Fairy Tale is not responsible for prize delivery. I might choose the Maya Babies shoe. The Magnuson Washable Runners would be perfect for my son who is a relentless destroyer of sneakers! I think I would get the Sammi for my grandson, they are really cute shoes. Thank you. I like the baby Maya shoes. I like the Reprieve recycled, in sky blue. I love the recycling 15 water bottles. I think I would get the Cynthia shoe, they are all so cute! I like their Boy's Jude sandal in navy. So cute! I would probably choose Keli, my niece would love them! Thank you for the chance to win! I love the little girls Manami shoes. I would choose the Tanner shoes in Gray for my grandson to wear! Love these shoes! My gal just started standing! Whitney boys shoes are so cute love the colors and design on them too. I like the pink Gloria ll. I like the babies Cody blue shoes. I like the boys jude sandals for my 3 year old. 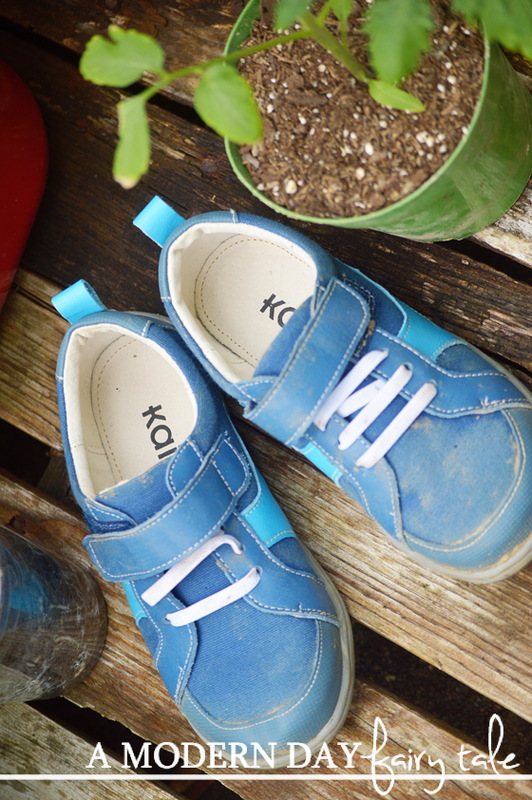 I think the kristin blue dot toddler shoes are very cute! Oh I really love the boys Kenai sandals. So cute for summer! My Granddaughter would love the Juniper shoes. I really like the Sammi in gray! My little boy would look adorable in them. The Callie Anne is so cute for my great granddaughter, Kaitlyn. I really like the Johnny Toddler Trainer shoe. I would love the Camila sandals in silver for my daughter! I love the Magnuson for my older son. All of the baby shoes are adorable! Since I have to choose I would pick the Brook shoe for my baby granddaughter. I think I would choose the Savannah shoes for my daughter. I like the Hess II.